Despite the substantial progress in the area of deductive program verification over the last years, it still remains a challenge to use deductive verification on large-scale industrial applications. 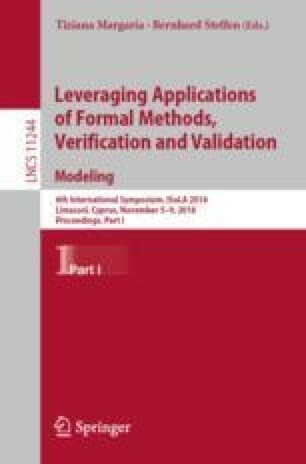 In this abstract, I analyse why this is case, and I argue that in order to solve this, we need to soften the border between models and code. This has two important advantages: (1) it would make it easier to reason about high-level behaviour of programs, using deductive verification, and (2) it would allow to reason about incomplete applications during the development process. I discuss how the first steps towards this goal are supported by verification techniques within the VerCors project, and I will sketch the future steps that are necessary to realise this goal. The author is supported by NWO VICI 639.023.710 Mercedes project.